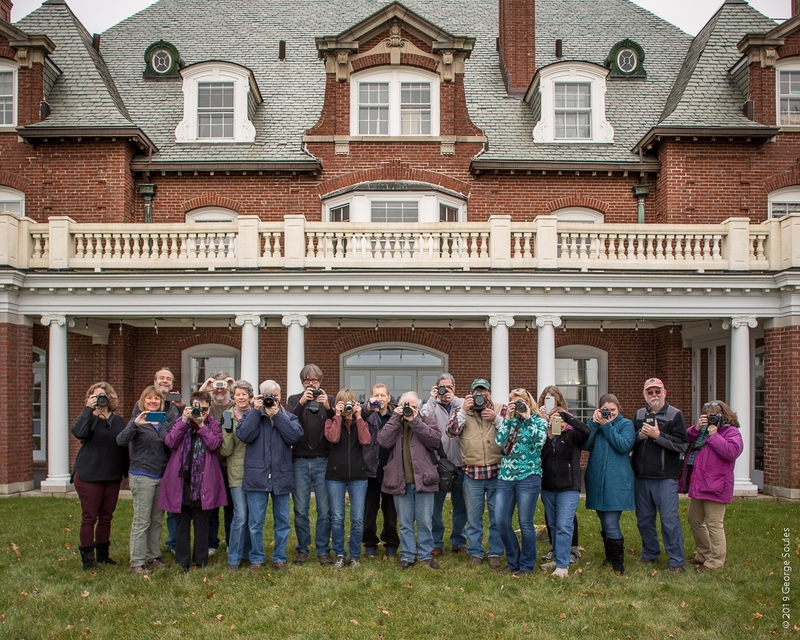 The MDI Photo Club met at La Rochelle, better known as the Maine Seacoast Mission, for its December outing. We were able to photograph both inside and outside this classic Bar Harbor summer cottage. For the group photos I used a Canon 24mm tilt/shift lens which allowed me to get correct perspective for the rear of this lovely building. The tall guy third from the left is me taking the picture with a remote shutter release. I took a number of shots and amazingly only had to combine two of them to get everyone with eyes open.